Strangely, I am reading two books that seem to correspond to/with each other. One is Ways of seeing by John Berger. 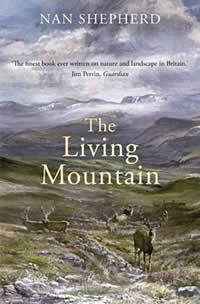 The other is The living mountain by Nan Shepherd. Whilst they are not on the same subject at face value, the authors say comparable or parallel things. But initially, the story of looking for lost things. My family came to my house for Christmas lunch. My sister moved some things that were on the table to a bench. Among those things were my house and car keys. After everyone had left I looked for my keys but couldn't find them. I had cleaned up the kitchen and moved things back to the table, including a bowl of fruit. My sister had put my keys in the bowl. I did not notice them when I moved the bowl back to the table. I was doing what we do when we read - scanning - so all I saw was fruit. Later, when looking for my keys, I relooked at the bowl of fruit, in relation with my thinking about the events of the day, and only then did I see my keys. I was truly looking at the bowl, probably for the first time. Artists who paint still lifes must also do this - really 'see' things. We never look at just one thing; we are always looking at the relation between things and ourselves. This changing of focus in the eye, moving the eye itself when looking at things that do not move, deepen one's sense of outer reality. Then static things may be caught in the very act of becoming. By so simple a matter, too, as altering the position of one's head, a different kind of world may be made to appear.... Details are no longer part of a grouping in a picture of which I am the focal point, the focal point is everywhere. Nothing has reference to me, the looker. This is how the earth must see itself. Her text in The living mountain considers being - her own being and the mountain's/nature's, the relationship between watcher and watched, and the senses being put to full use. There is nothing more to be said, but a lot to be experienced. Nan Shepherd's text relates to Buddhism as well as deep ecology - the practices of meditation and mindful walking, mindfulness in general, are all expressed in her book. What do we really see? Buddhism - why isn't it a religion? The excerpts in this post come from Buddhism without beliefs by Stephen Batchelor. Buddha's awakening was both existential and experiential. He discovered the four ennobling truths: anguish/suffering, the causes of suffering, the end of suffering, and how to end suffering (the noble eightfold path). 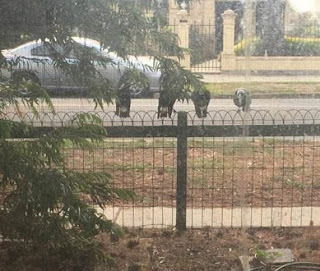 We've been feeding magpies for quite a while now. Given there are Norfolk Island pines in the street, which they love, they are always around. But they choose their times to swoop down for a feed. Sometimes I hear them from the kitchen, and sure enough when I look up the passage to the front door, one is standing on the door mat looking in. Very cute. Obediently I get out the mince and go outside to feed them. There may be only one, or two or three or four. I tell them to behave themselves if they are rude to each other. It seems to work. Once they have had a few bits each they are happy and so am I. This photo was taken from a front bedroom window. They are peering in on a winter's day, looking to see what's happening. It seems like role reversal - we often think we are looking at animals/other living beings (eg in zoos) but in fact they also observe us. I always say hello to birds when I see them in the street, even if they are a breed I am not fond of, such as miners. Magpies though seem to know that you are talking to them. They factor it into their own speech. They are a special breed. In Europe I believe they are called 'pie', but are apparently different to the Australian magpie. An American woman singer in our town for the Festival said how much she loves their sound. It is hard to mimic and has a lot of variation. Sometimes I think a magpie is putting together a song just for me - singing for its supper. I love this poem, although the second line is difficult. Thinking about what is wrong with the world, it is not the world that is wrong, but the people in it. Nature is not wrong. And what is the key thing wrong with humans? We are human-centred. OK, you may say that a lion is lion-centred etc. In terms of survival, all species are self-centred. This is the selfish gene thing. But humans are a particular species, a particular being, that value our own importance over all else, to the point of shitting in our own nest (our universal home, the Earth), not feeling the pain of other living beings or even of our own species. For these reasons, I do not love my species. Or at least, I do not love them above other species. Equanimity is a beautiful thing. Do you have to believe in reincarnation to be a Buddhist? Reincarnation means there is a soul that goes out of your body and enters another body. That is a very popular, very wrong notion of continuation in Buddhism. If you think that there is a soul, a self, that inhabits a body, and that goes out when the body disintegrates and takes another form, that is not Buddhism. When you look into a person, you see five skandhas, or elements: form, feelings, perceptions, mental formations, and consciousness. There is no soul, no self, outside of these five, so when the five elements go to dissolution, the karma, the actions, that you have performed in your lifetime is your continuation. What you have done and thought is still there as energy. You don’t need a soul, or a self, in order to continue. It’s like a cloud. Even when the cloud is not there, it continues always as snow or rain. The cloud does not need to have a soul in order to continue. There’s no beginning and no end. You don’t need to wait until the total dissolution of this body to continue—you continue in every moment. Suppose I transmit my energy to hundreds of people; then they continue me. If you look at them and you see me, well, you have seen me. If you think that I am only this [points to himself], then you have not seen me. But when you see me in my speech and my actions, you see that they continue me. When you look at my disciples, my students, my books, and my friends, you see my continuation. I will never die. There is a dissolution of this body, but that does not mean my death. I continue, always. That is true of all of us. You are more than just this body because the five skandhas are always producing energy. That is called karma or action. But there is no actor—you don’t need an actor. Action is good enough. This can be understood in terms of quantum physics. Mass and energy, and force and matter—they are not two separate things. They are the same. Not what it seems. When I was meditating in a group of people the other day I had a sense of the history in my body. It was so subtle and fleeting that I can't even describe it. Since then I have thought about it (not the same thing as feeling it) some more. I sometimes imagine stealing something. It's quite random, usually triggered by seeing something I like. When I was at Plum Village, one meditation exercise was to imagine the 5 year old parent in us - our mother and our father. And to imagine ourselves as 5 year old children. It suddenly occurred to me one day after we had done this meditation that maybe my impulse to steal was linked to the 5 year old father in me. At the funeral of my uncle a story about my uncle and father was told and in fact my father was probably about 5 years old. They were in a shop and I think my father wanted to steal something. I am always rushing ahead in time (like most people) and it is difficult to have a moment in the present moment! 'Quick' was a word I said to my son a lot when he was little, especially when I had to go to work. I said it to the dog the other day too (not the only time). But what if it isn't just about my life, but also about the generations who have gone before me? My father hated to be late, and my mother too (or was she just following him?). Maybe my quickness comes from that, and maybe theirs comes from their parents... Although earlier generations couldn't do quick like we can, it still could have been in their psyche. More instances of my body as history may arise as I try mindfully to go into my body instead of always being in my mind ('aware of the body in the body'). At least I hope so, because by understanding these old habit patterns I can move beyond them. They not only relate to conditioning but to my senses. And they come before thought, so are very subtle. Refer to the Discourse on the full awareness of breathing for more information about uniting body and mind. David Suzuki spoke at WOMADelaide 2016. It was a wonderful moment! Here is some of his wisdom. Not his words exactly, as my own passion is added in some parts. The future is not ours to erase. Whilst we may seem to be ticking along fine, living a lifestyle that implies limitless resources, this is an illusion that denies future generations a sustainable life on this planet called Earth, that is not 'ours' to destroy. We are stealing from the future to feed our present greed and addiction. This is taking the 'selfish gene' to its extreme, but it's true, sadly. More about this later. It's also adding 'stupidity' to our genetic traits. We are a species (love that word) out of control. It's too late to turn things around. The older generation can view ourselves as 'elders' if we wish (and if we deserve such a title, as 'elder' also implies wisdom, and some of us have nothing to model/teach). But I still love that word. As voters, we should demand a commitment to doing something about climate change from every political candidate. Every one. That is our duty, and worth the effort. Nature can shock us with surprise. If we give her room she will be far more generous than we deserve. We are talking about regeneration, or healing, here. He gave an example of salmon (I think). Examples are always good. I am intrigued by the phrase 'give her room'. What does this mean exactly? Is it about 'space' (another word that intrigues me) or just about being kind? This idea needs more exploration. I am sure that the answer lies in a David Suzuki book. I must read one. 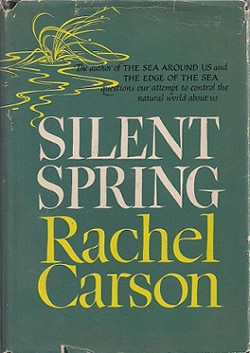 Silent spring by Rachel Carson was mentioned as a pivotal book. Another book I must read. Bless that woman. We need to educate people to see our relationship with the world in a different way – the way we see the world and our place in it determines how we behave. The planet is our mother. We have to take this literally. There is a wonderful film about this: Mother: caring for 7 billion. 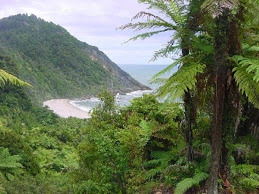 Our world ('mother') is shaped by laws of nature we can do nothing about – shock, horror, we can't control them. Our home is the biosphere. We've exceeded the capacity of our biosphere for our species. We're using up our children's and grandchildren's inheritance. This makes me really sad. We are animals. As animals our biology predicts our needs. All of the energy in our bodies is provided through photosynthesis. It's a basic fact that we are not separate from the four sacred elements of our mother (Earth, Air, Fire, Water). As a crescendo to this talk, there is the Declaration of Interdependence (David Suzuki). You can sign this declaration, which is the most important one of our time, if we still want to have a time. That is, if you think you have the time and are not caught up in the busyness-of-life addiction as well as selfishness and stupidity. This may sound harsh (it is my own words) but I will qualify it by saying that I am not superior to other human beings/animals. I too am caught up in the busyness-of-life addiction that refutes present moment awareness. It is our tendency to view ourselves as superior not just to other living things but also to others of our own species that is a wrong view and causes suffering to ourselves and others.